Spring is in the air! You know what the best thing about this time of year is? Definitely barbecuing! In the news recently there has been story after story of people having the bristles from barbecue brushes becoming lodged in their throats and then having to get it surgically removed. To be honest, these reports scared the heck out of me. 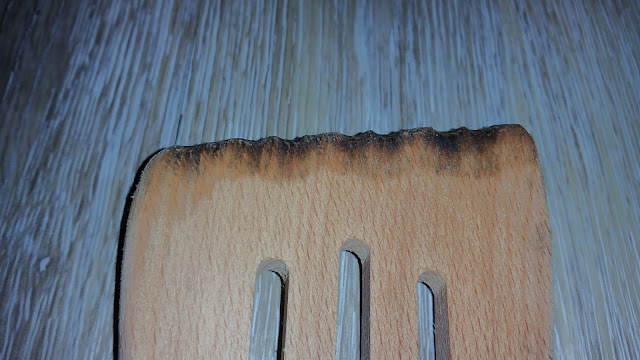 So, when I went out to inspect my own barbecue, I was horrified to see little brush wires encrusted on my BBQ grates. 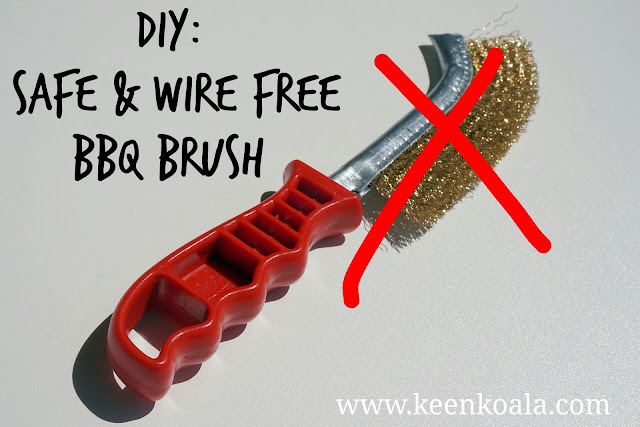 I immediately threw away my wire barbecue brush. I wasn't going to allow that hazard anywhere near my barbecue ever again. I started wracking my brain to come up with a replacement for a standard BBQ brush. I tried a couple different methods before coming up with the holy grail answer. First, I tried using wadded up tin foil. I didn't like this method at all as it left particles of foil all over the grates. I would not recommend this method at all. Next, I tried using a nylon scrubbing pad. It worked decently, but the pad became logged full of food particles and grease very quickly. It felt unsanitary and they also didn't feel like they would hold up very well to frequent cleanings. I thought about it so more, the best cleaning method would have to be something that had a handle, to keep my skin away from the hot grates, and also something that could conform to the shape of the grates. 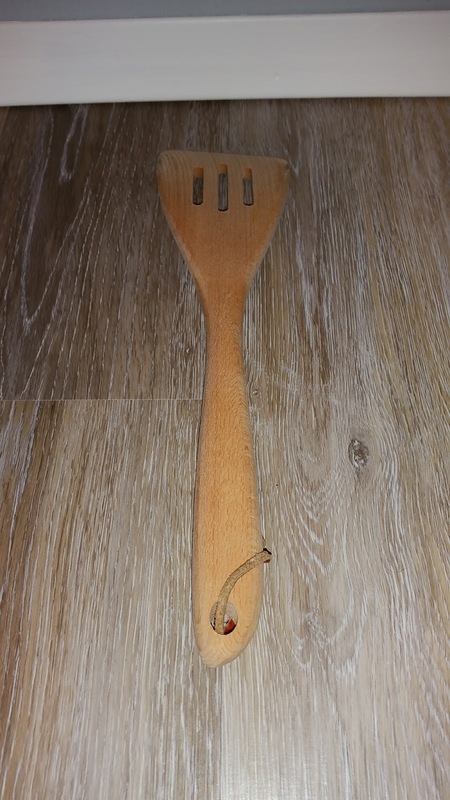 Then, it dawned on me, a wooden turner, or as some call it, a spatula. This would be my new barbecue cleaner. I went to my local dollar store and found a very nice wooden spatula made out of birch wood. If you can't find a wooden turner locally, you can purchase one on Amazon by clicking HERE (Amazon Affiliate Link). 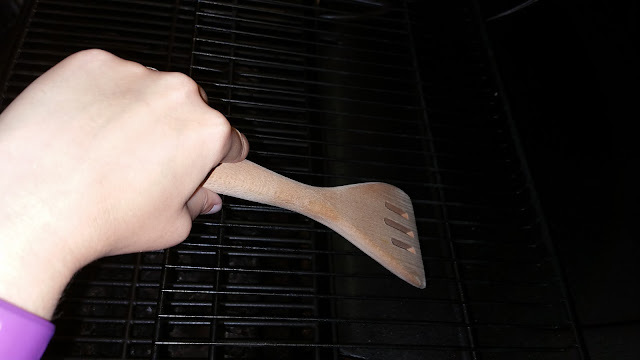 After cooking hamburgers on the barbecue, I then ran the spatula along the grates while pressing down with firm pressure. As I worked, the spatula began to conform to the grates of my barbecue due to a combination of the pressure and heat from the barbecue. And, the best part, it cleaned by barbecue grates perfectly. 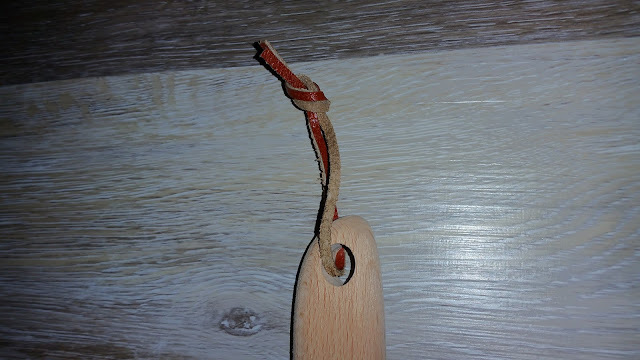 To make it barbecue official, I tied a leather string to the hole at the top of the spatula handle. Also, each time you use your BBQ cleaning spatula, it will conform to your grates more and more. So, not only will you have a safe BBQ cleaning tool, you will have one that is customized exactly to the width of your grates. And, just one more thing that I love, this barbecue cleaning tool is totally washable! Bonus! Check out that sweet conformability after just a couple of uses. Anyway, I hope you enjoyed this super simple tutorial and that I have helped you find a safe and effective method to clean your barbecue. Happy barbecuing everyone. Please don't forget to Like Keen Koala on Facebook for instant access to the latest posts, exclusive content, and contests by clicking HERE!